Bee pollen has been used as a nutritional supplement for thousands of years. The Ancient Greek physician Hippocrates used it 2,500 years ago. Bee pollen is collected on the legs of honeybees flying from flower to flower. It is high in protein and contains beta carotene, vitamins C and E, lycopene, selenium, and flavonoids. It is marketed as a supplement to desensitize allergies, for its immunogenic effects, and to combat fatigue and depression. According to "The Gale Encyclopedia of Alternative Medicine," it can reduce the symptoms of allergies and hay fever. Although few people experience adverse side effects from bee pollen, those do can have serious reactions. According to "The Gale Encyclopedia of Alternative Medicine," bee pollen can cause a severe allergic reaction or even death in rare cases. People who are allergic to bee stings should avoid bee pollen. If you think that you may have an allergy to bee pollen, you should be tested for an allergic reaction before using products containing bee pollen. Anaphylactic reactions occur rarely. For example, an anaphylactic reaction can occur in allergic people after initial ingestion of bee pollen. In one case study, a 32-year-old woman had a phototoxic rash reaction after taking a supplement that contained bee pollen and other ingredients. Although bee pollen by itself is not associated with photosensitivity, it may cause such a reaction in certain individuals when it is combined with other ingredients. By itself bee pollen has few side effects, but when combined with other ingredients and herbs the risk of a toxic reaction increases. Although this side effect is rare, there is a case study report of a man who developed acute renal failure after taking a bee pollen containing supplement for five months. Minor side effects such as gastrointestinal irritation and diarrhea have been reported. According to "Mosby's Handbook of Herbs & Natural Supplements," those with diabetes or hepatic disease should not use bee pollen. It reduces the effectiveness of insulin and oral hypoglycemics. Pregnant and nursing women should not take bee pollen. Bee pollen has been shown to suppress angiogenesis, which is the formation of new blood cells, in human umbilical cells. Although a negative side effect for pregnant women, those with pathogenic angiogenesis-related diseases may benefit. 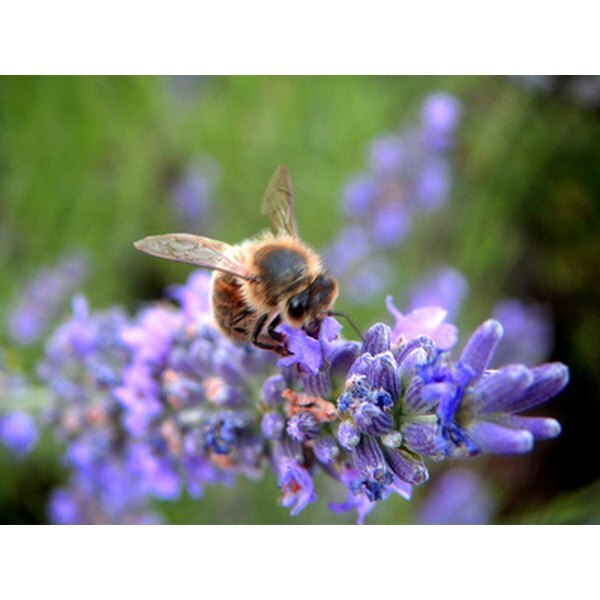 In one study, a pregnant woman who used a bee-produced product during the first weeks of pregnancy was among participants who experienced adverse reactions; these included rashes, respiratory symptoms and gastrointestinal symptoms. Based in New York, Jacqueline Gutierrez started working as a registered dietitian in 1994 and writing in 1995. She has written reviews for the "Journal of Nutrition for the Elderly," modules for CEU4U, a nutrition coloring book and research reviews for Networking News. She has a Master of Science in nutrition from C.W. Post and a Master of Science in Education from Queens College.